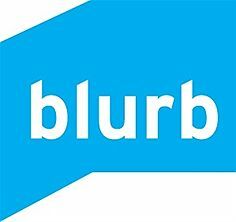 Get $5 off at Blurb All Month Long! Say goodbye to summer and hello to fall by making a Summer 2015 book with Blurb. For the entire month of September Blurb will take $5 off your order when you spend $20+. All you need to do is use the code EARLYFALL5 at checkout and you'll get $5 off! Offer: Spend $20+ and get $5 Off with code EARLYFALL5 at Blurb! Details: Offer valid through from September 3 to September 30 2015 (11:59 p.m. local time). Valid for printed books only. Get $5 off (USD), 5€ off (EUR), £5 off (GBP), $5 off CAD, $5 off (AUD) discount is applied toward your product total with a minimum purchase of USD $20, CAD $20, AUD $20, EUR 20€ or GBP £20 required. Maximum discount is USD $5, CAD $5, AUD $5, EUR 5€ or GBP £5 off product total with minimum order of USD $20, CAD $20, AUD $20, EUR 20€ or GBP £20. This offer is good for one-time use, and cannot be combined with volume discounts, other promotional codes, gift cards, or used for adjustments on previous orders. My brother might be interested in a site like this, will have to pass this along.